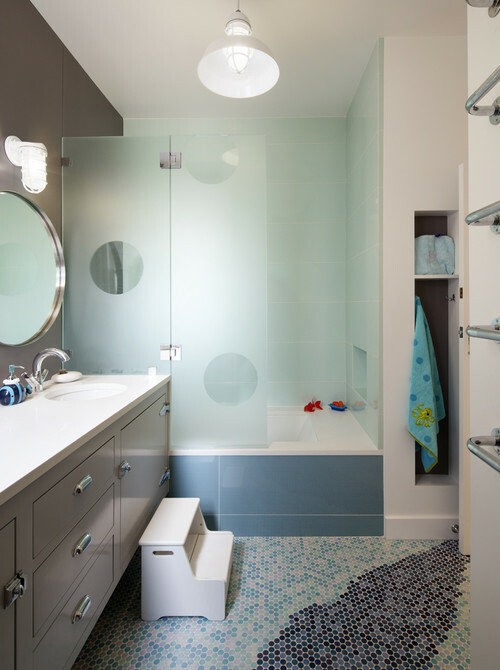 The shower is becoming increasingly popular, despite the age-old theory that home resale value will be lower without a tub (after all, where will you bathe your kids and pets?). Today, a good shower is often preferred over a bathtub even in the most luxurious bathrooms; more spacious bathrooms may feature both. If your bathroom is equipped with a shower, as most full bathrooms are, our guide will help you choose the right kind of shower enclosure for your bathroom layout and personal preferences. 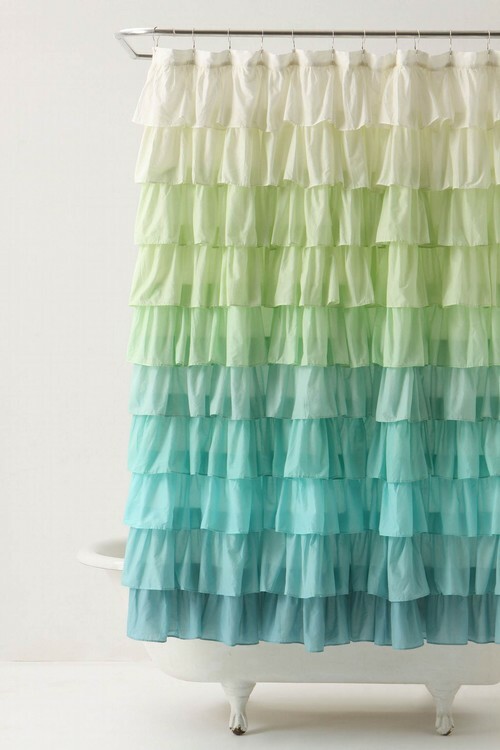 Inexpensive, easy to clean, and available in fun colors and patterns to match every bathroom’s decor, shower curtains are a simple and popular solution. All you need is a curtain that you love, a curtain rod (available in various shapes and sizes to fit around your shower or tub), and hooks. It can be pretty, funny, modern, or elegant – there are thousands to choose from. 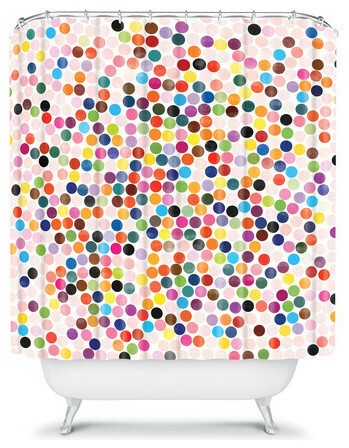 Bonus: you can change the look of your bathroom whenever you’d like to and without spending a lot of money! A glass door is a timeless addition to any shower. With so many styles and types available, it’s easy to find one that will work in your bathroom, whether you have a tub or not. Traditional shower doors are made of glass surrounded by a plastic or metal frame to stabilize the door. A frameless door is generally made of a single thicker pane of glass and are not enclosed by a frame of any sort for a more modern appearance. 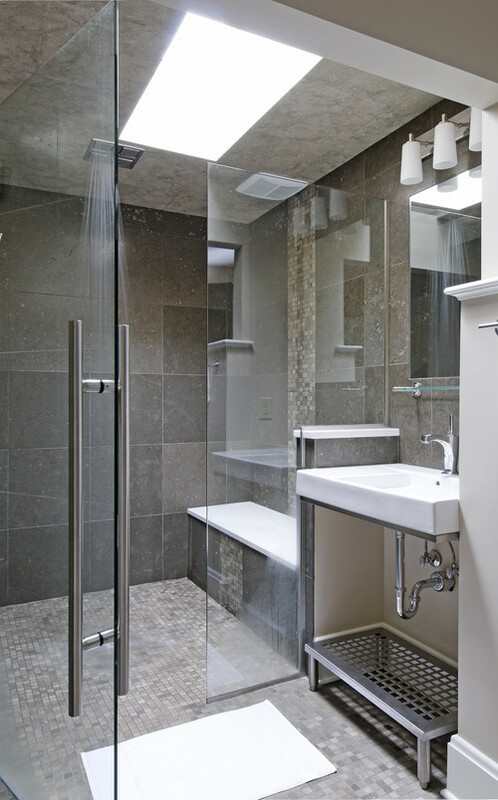 Frameless showers can open up the look of a bathroom dramatically, especially when the entire enclosure is frameless. You’ll need to decide how you want your shower door to open. 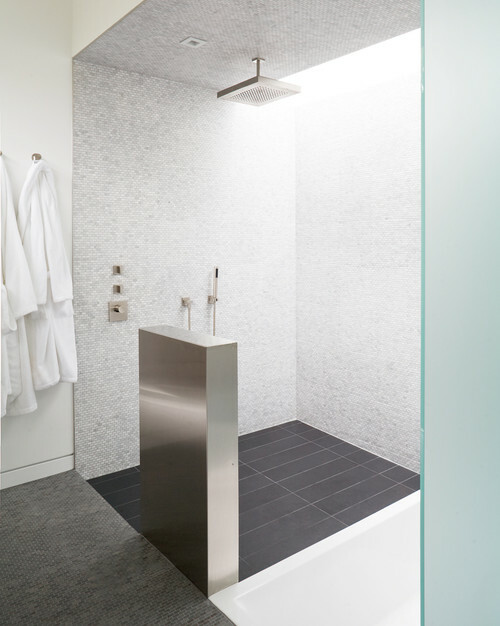 If your bathroom is spacious enough, a pivot door swings outward to allow shower access. A pivot door is a good choice if you have a recessed shower; just make sure that you have enough room to open the door without bumping the sink, toilet, wall, or other bathroom users. If you don’t have room for the door to swing open, try a bi-fold door; its two panes fold inward, accordion-style, to save your bathroom from unnecessary bumps. Sliding doors are generally the most popular. They don’t take up much space and can be installed on a tub as well (be aware that this may make it uncomfortable to bathe small children in the tub). Many are reversible to allow for right- or left-opening doors. A corner shower needs a full enclosure (or a curtain) to keep the water in. The enclosure can be jetted if you prefer, and may have a pivot, bi-fold, or sliding door. 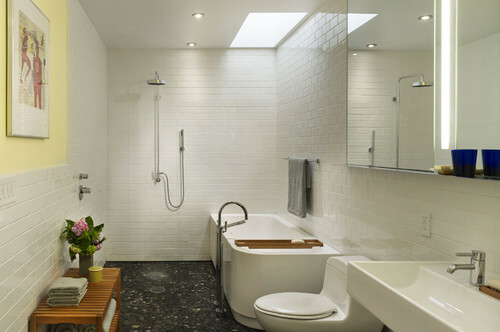 If you want to keep a minimalist look in your bathroom, you can try a half or partial door or partition on your tub. It’ll keep the water in without a full door and can be fixed or pivoting. Eclectic Bathroom by San Francisco Architects & Designers Feldman Architecture, Inc. Some bathrooms are taking curbless showers a step further and eliminating the door entirely! 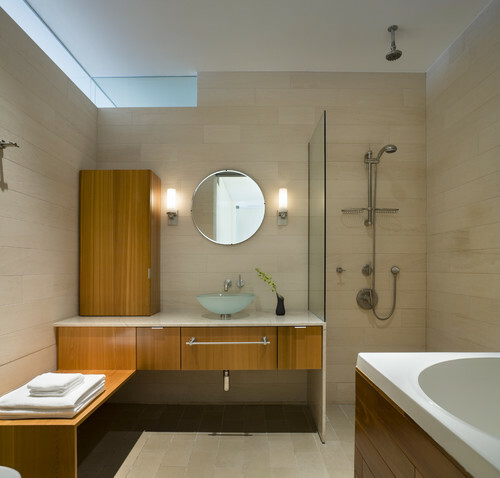 Doorless showers give a modern, flowing, and open feel to a bathroom. When installing a doorless shower, you must consider the factors needed for a curbless shower plus a well-planned layout to make sure that you don’t spend your shower shivering due to a lack of forethought. However you choose to enclose it, enjoy your shower! What kind of door do you have (or wish you had)?